A kitchen fairy from the Cassa Bella Projects. 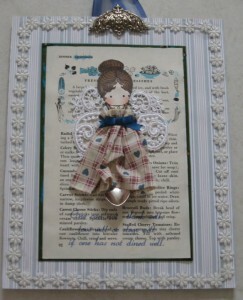 Background is a recycled a page from an old recipe book, add a sliver spoon and toss with some craft fabrics and trims. Their suggested quote was “One can not think well, love well or sleep well if one has not dined well. This is one of the cutest projects I have seen! Love it! 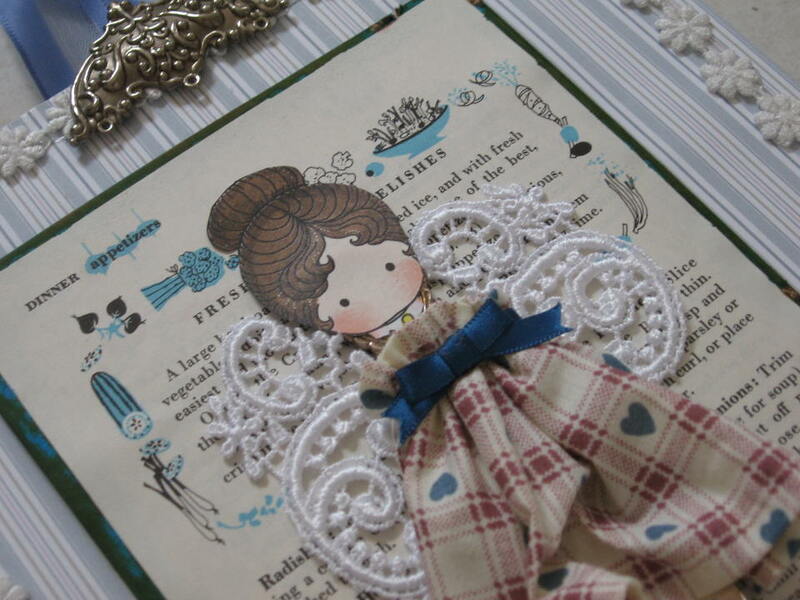 Love these delightful projects and this one is as Clarice says so very, very cute. I am loving your latest projects! 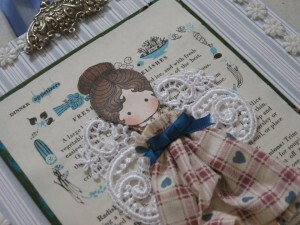 Love the mix of the script/score papers with the vintage goodies and lots of white. You are certainly inspired at the moment! 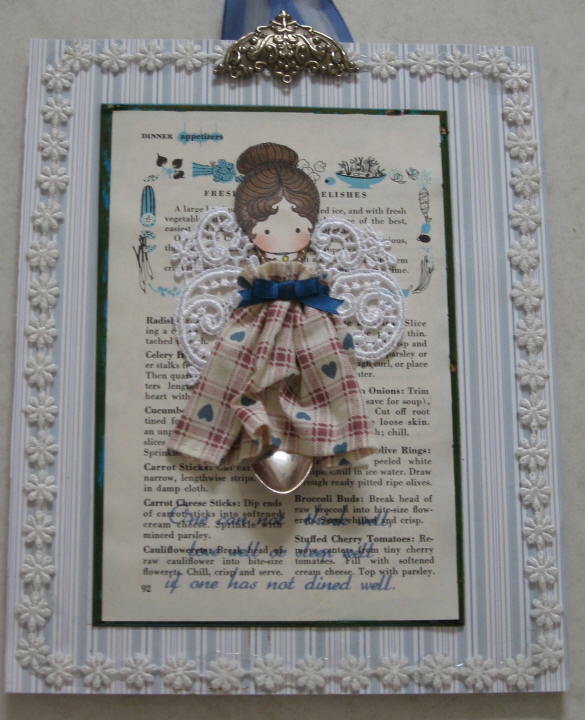 This piece is absolutely gorgeous and so vintage chic, love it!<BR/>and I love your blog too!Gorgeous!<BR/>Magic and Joy!<BR/>Lisa!